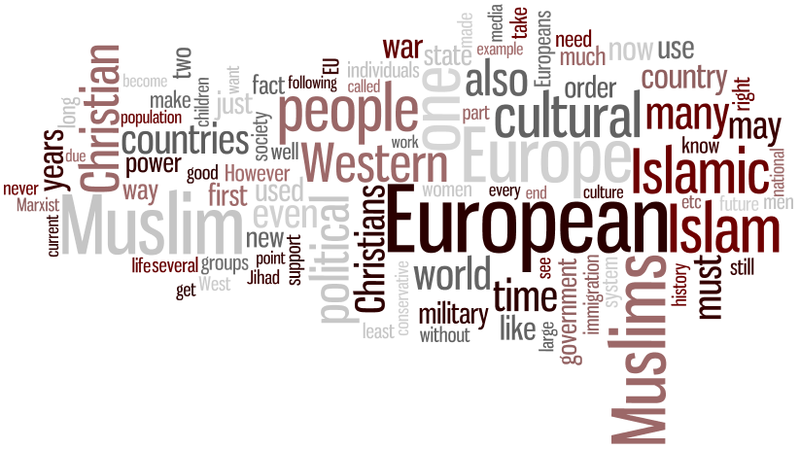 I’ve generated a tag cloud of the top 93 terms from right-wing terrorist Andrew Berwick’s manifesto in memory of the victims killed in the twin attacks in Oslo, shared without further comment. May they rest in peace. This entry was posted in Commentary, Photos and tagged Anders Breivik, Andrew Berwick, attack, bombing, extremist, manifesto, news, norway, oslo, politics, right-wing, tag cloud, terrorist, Utøya. Bookmark the permalink.